You say the word "Moscow" to Americans, and it conjures up the Kremlin, Red Square and images of intensely cold winters against the backdrop of colorful onion domes. Moscow was Russia's capital before Peter the Great moved the capital to his new city, St. Petersburg, in 1712, and then again as the capital of the Soviet Union after the Russian Revolution -- the government was moved back to Moscow in 1918. Moscow never lost its intensity or spirit -- one that has inspired writers and poets, ensnared the nobility with its charms, and proved to be the center of Soviet mystique during the Cold War. Moscow represents both the Russia of yesterday and the Russia of today. Moscow, as Russia's capital city, was home to more than 12 million residents as of 2015, according to the CIA World Factbook, and countless non-residents. While the population consists mainly of ethnic Russians, other groups are represented in relatively small numbers. Moscow holds a top spot in the world's most expensive cities. The Russian capital is an international business center, and after the fall of the Soviet Union in 1991, international corporations have set up branches in Moscow. Industries like hospitality have risen to meet the need, ensuring that Moscow continues to grow. Moscow is the seat of Russia's government, and the Kremlin, at turns an opulent and forbidding house of government, sits in the heart of the city. Just as the czars once ruled over Russia, so now does the Russian president. Visitors to Moscow today can see architecture that dates from 1533 to 1584, the reign of the first czar of Russia, Ivan the Terrible. One such building is the iconic St. Basil's Cathedral, which is on Red Square and near the Kremlin in central Moscow. Through exploring these historic buildings you can gain insight into how Russia's way of life has long differed from that of the West. Russia's greatest writers were familiar with Moscow, and many lived in the capital city at some point during their lives. Some were born there, others died there, but they all left important traces of their lives for literary visitors to discover. Moscow is home to many Russian museums about its writers that seek to stop time for their greatest fans. While St. Petersburg might arguably rival Moscow with its collection of art at the Hermitage, Moscow is home to the culturally significant Tretyakov Gallery. The Tretyakov Gallery is the world's most important museum of Russian art. Famous Russian masters -- Repin and Vrubel, among others -- have special places in Moscow's Tretyakov Gallery. The Armory Museum holds a collection of jewels, crowns, thrones and carriages from royal Russia The Armory's State Diamond Fund preserves these important symbols of Russia as a czardom and empire. Moscow is famous for its harsh winters that sometimes last until April. Summers are hot but not unbearable. 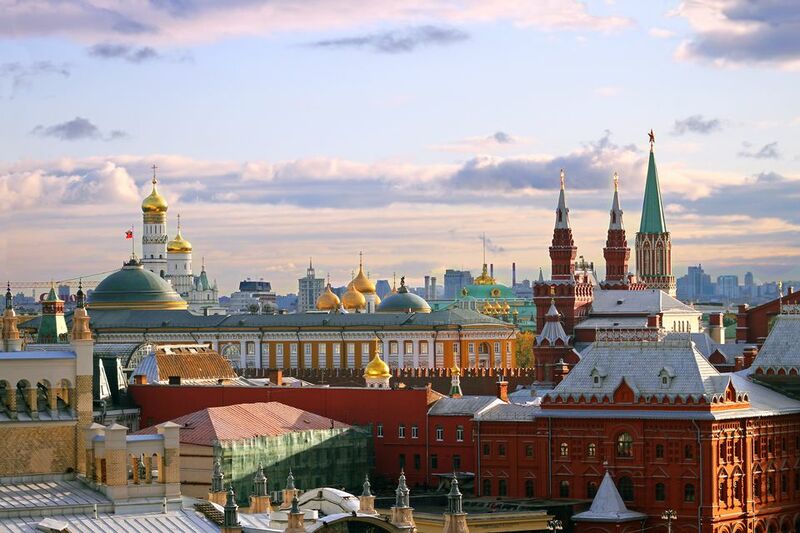 Fall begins early, so the best times to travel to Moscow are from May until September. However, Maslenitsa takes place during February or March, so sometimes it's well worth it to brave the Moscow cold. If you're traveling there for Maslenitsa, check out these other Moscow winter activities. Moscow's metro system is fast and efficient. While its unforgiving crowds and system of stops might take some getting used to, it's possible to travel all over the city inexpensively and easily using the metro. A bonus: Moscow's metro stations are attractions in themselves. Opulently decorated in fine materials by master craftsmen, the Moscow metro stations are a unique and impressive aspect to Russia's transit system. Russia's capital city is expensive, and the closer to the center you stay, the more pricey your accommodations will be. For travelers on a budget, it's prudent to stay on the outside of the city and take the metro into the city center.